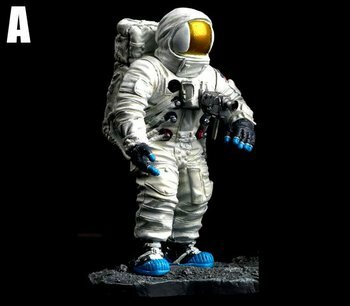 This set includes 2 different 1/24 astronaut figures, three pieces of the Saturn V rocket and the Columbia & Eagle. 6pieces in all! All items are prepainted, preassembled and fully detailed. Pieces are all new in card, never removed. Cards are in excellent condition.